We know very little about this mysterious character, whose name, however, is remembered for being the author of the oldest text dedicated to the care and training of the horse reached down to us. He lived in the thirteenth century BC. 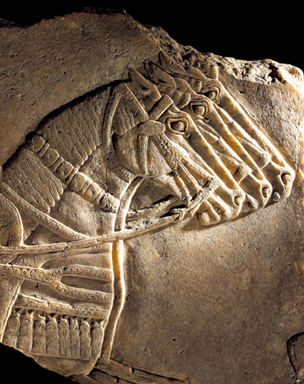 Stone panel from the North-West Palace of Ashurnasirpal (northern Iraq), 883-859 BC . «Thus speaks Kikkuli, master horse trainer of the land of Mitanni», so begins his manual for training war horses. Despite being at the service of the Hittite king Suppiluliuma, Kikkuli was in fact a “stranger.” Mitanni or Mitani was the name of an empire on the left bank of the Euphrates, south of the Taurus, which included northern Mesopotamia and in the period of its greatest expansion (fifteenth century BC), the western part of Assyria. Mitanni was probably the capital of the kingdom, although the sources are also called the capital city Washshuggani. The population of this kingdom was of Hurrian origins. The Hurrians spoke their own language, such as that spoken by the Mitanni was nothing more than a dialect. They lived in Armenia, in the eastern provinces of the empire of the Hittites in Asia Minor, in northern Mesopotamia, and mixed with other populations, in Assyria, Babylon, Syria, and Palestine. Fragment from the north-west palace. Early in its history, the main rival of Mitanni was Egypt. 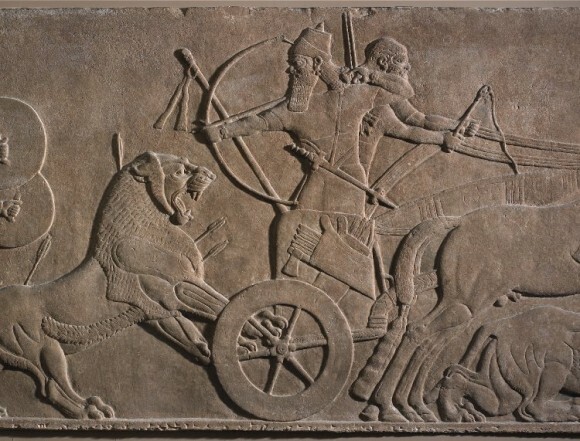 The rise of the Hittites, however, pushed the Mitanni rulers to form an alliance with their old enemies, sealed by several marriages between Egyptian pharaohs and Mitanni’s princesses. Probably as a result of a conspiracy, which led the disorder in the empire of Mitanni, the Assyrians invaded the south-eastern Mesopotamia. The situation prompted the Hittite king Suppiluliuma to intervene on behalf of Mattiwaza, one of the princes of Mitanni, who was fighting for the succession. He gave him an Hittite princess as wife and put him on the throne as a vassal of his reign. Shortly after, however, Adad-nirari I of Assyria (1310-1281) won the country’s major cities and the kingdom of Mitanni passed to Assyria. The Kikkuli text has a particular importance for philologists. According to Kammenhuber, who has studied all the fragments of the text, the four tablets were recorded by four different scribes, probably of Hurrian origin. Each one shows a different level of expertise of the Hittite language by the writer. 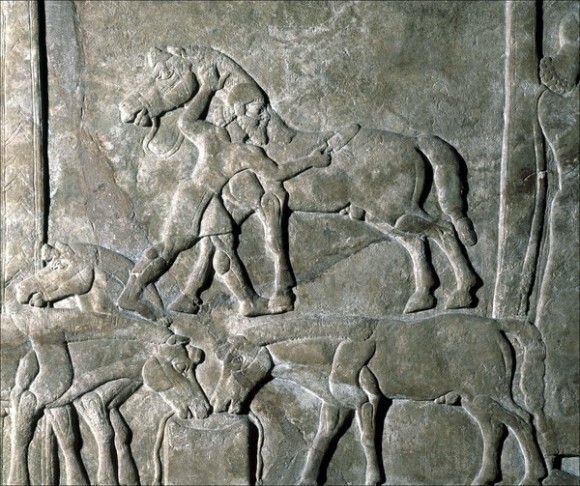 It can be deduced from the text that Mitanni horse trainers, as Kikkuli, and their Hittites counterparts used common words, Hurrian and Hittite, but also technical terms derived from different languages spoken in Asia Minor, such as Sumerian, Akkadian, Hittite,Luvian, Hurrian and Indo-Aryan. RAULWING, Peter, The Kikkuli Text. Hittite Training Instructions for Chariot Horses in the Second Half of the 2nd Millennium B.C. and Their Interdisciplinary Context 2009.